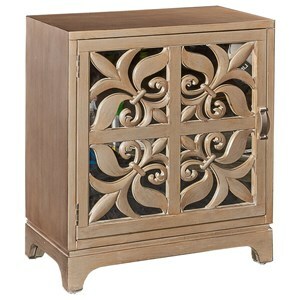 With a modern rustic look, the Grace Cabinet is a lovely décor choice for any room in your home. 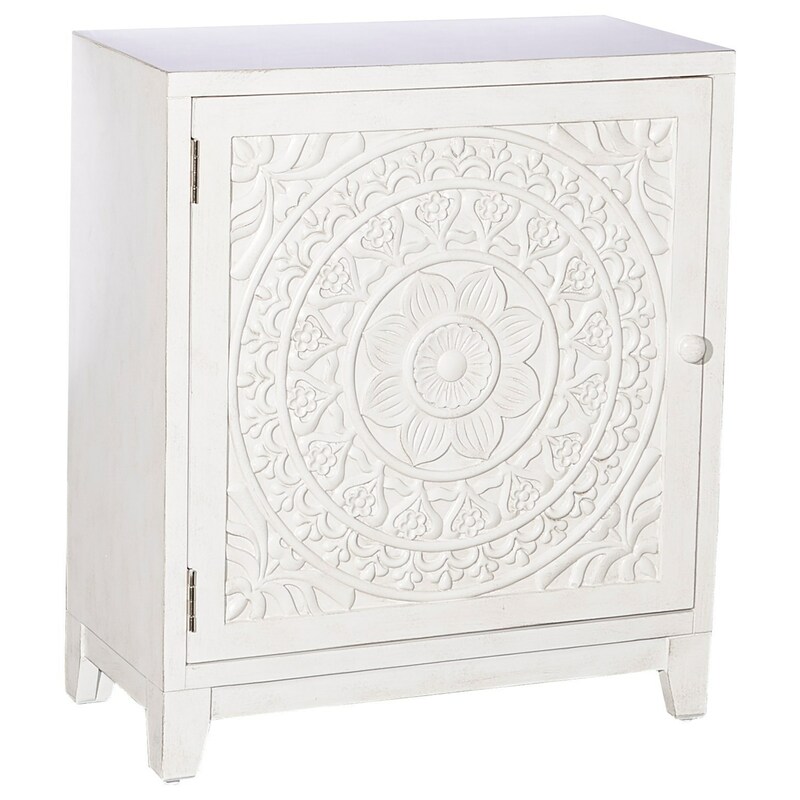 The perfectly neutral white antiqued finish highlights the resin medallion front of the cabinet door. The door opens to one fixed interior shelf for storage and organization. The round wooden knob and short, straight legs bring finishing touches to this sophisticated piece. The Accent Cabinets Grace Cabinet by Powell at Wayside Furniture in the Akron, Cleveland, Canton, Medina, Youngstown, Ohio area. Product availability may vary. Contact us for the most current availability on this product. Case Construction A combination of hardwood solids and select veneers applied over medium density fiberboard (MDF) and particle board. MDF and particle board are used in Powell quality furniture for surfaces that require stability against the varying environmental conditions in modern homes. Browse other items in the Accent Cabinets collection from Wayside Furniture in the Akron, Cleveland, Canton, Medina, Youngstown, Ohio area.